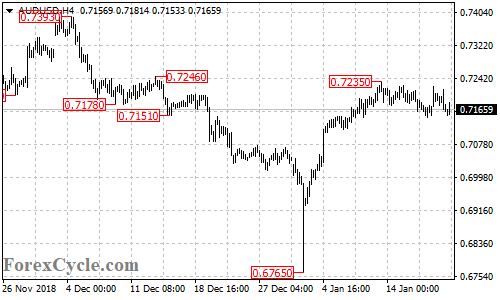 AUD/USD remains in the uptrend from 0.6765, the fall from 0.7235 is likely consolidation for the uptrend. Range trading between 0.7100 and 0.7235 is possible in a couple of days. As long as 0.7100 support holds, the uptrend could be expected to resume, a break of 0.7235 resistance could trigger another upside movement towards 0.7300.